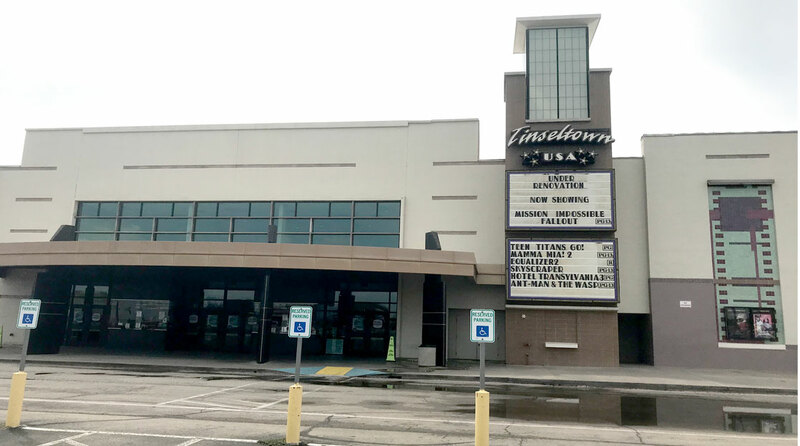 SAN ANGELO, TX — The Cinemark Tinseltown USA movie theater at 4425 Sherwood Way is being renovated. Half of the building is under construction but the other half is still showing movies. The renovations for the theater is estimated to cost about $1.68 million. The left side of the building is the side that is under construction at this time. Tinseltown will still be open during regular hours. Movies showing are Mission: Impossible-Fallout, Mamma Mia! Here We Go Again, Teen Titans Go! To the Movies, The Equalizer 2, and more.